When’s The Best Time To Lease A Car? In order to get the right deal for a leased car, everything must flow together at the right time: The down payment; the MSRP; the salesman’s pitch; your spouse’s opinion, etc. If one item or number is a little off, the entire deal can evaporate quickly. Ever been there? Another factor to add to the list that can make or break a deal is timing. When you lease a car, the majority of salesmen must answer for quotas by moving a specified amount of inventory and making a certain amount of revenue per month. So if you arrive at a dealership late in the month, odds are you’re more likely to cut a better deal. There’s been great debate around this issue, but it’s also been explored heavily by the experts. Another pivotal time to peruse vehicles is during the end of the car’s model year, because at that point, salesmen are looking to get the new car models on the lot and will be looking to shed last year’s inventory – another great opportunity to get a cheap lease. Yet another time to look at leases comes at the end of the calendar year because salesmen will be looking to meet their end-of-year quotas and will also want to get rid of the cars currently on the lot in order to make room for new models. Plus, holiday deals will play a role, as well. A great formula for a cheap lease deal. However, if you don’t want to wait until the end of the year or the end of the month, and if you don’t want to play negotiation mind games with car salesmen, you can find cheap lease deals on Swapalease.com. With the online car leasing marketplace, you only have to pay a low monthly payment since you’re taking over an existing lease from someone else – the down payment and other fees have already been paid. And that’s 365 days a year. For more information on finding the best car lease deal or to learn how you can have a successful car lease trade, contact Swapalease.com at 866-SWAPNOW. Called the New Math of Car Leasing, the article goes on to mention that leasing has grown significantly in popularity because of the price, accounting for 26% of the car sales in 2013 (up 10% from 2003) and that 28% of the car sales for the first two months of 2014 are leases. What it boils down to is something Swapalease.com has known for a while now. Car shoppers want an attractive payment, and they’re willing to make this commitment because, like a cell phone, they realize a car now comes with a fixed payment. What does this mean? It means whether you lease or buy, odds are you’ll always have a monthly payment. People who lease are fine with this because they pay a low monthly payment, while drivers that buy are now financing very long terms, which means they’re making payments for many years. Either way, a monthly payment is happening so why not make the lowest payment possible via lease. The main difference at Swapalease.com? No down payment and much shorter terms than what you’ll find at a dealership – two very attractive items to many car shoppers today. There’s no new math involved. The deadline for taxes – April 15 – is about a month away. And companies that have leased vehicles for their business needs – a popular move since many dealerships, banks and credit unions don’t offer financing to businesses – are seeing the benefits during recent number-crunching to meet that deadline. With leased business vehicles, owners can deduct the expenses of the lease and the operating expenses based on the percentage of business use. For example, if your yearly lease payment is $4,200 ($350 per month) and your business use percentage is 80%, you can deduct a whopping $3,360 on your tax return for that year. Using the standard mileage rate. The former rate is said to be the preferred, easier method, especially if you do relatively little business driving. First, find out if you qualify. Then you can calculate the fixed and operating costs of your vehicle by multiplying the number of business miles traveled during the year by the business standard mileage rate. This rate is set annually by the IRS. For 2013, the rate was 56.5 cents per mile, and in 2014 that rate is 56 cents per mile. Using the actual expenses method. Your deductions are heavily dependent on the records you have in order to calculate those deductions, including gas, oil, tires, insurance, etc. Although this method is more thorough, you may qualify for a larger deduction. Keep in mind that the tax you pay on the monthly payment is deductible as well. Assuming a business lease on Swapalease.com will not only grant you these tax benefits, but will also leave necessary cash that would be spent on a purchase. 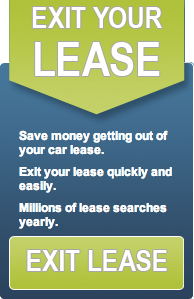 Simply visit the online car lease marketplace and begin looking for a vehicle that fits your business needs. For more information on car leasing for business purposes or to learn how you can have a successful car lease trade, contact Swapalease.com at 866-SWAPNOW. Not only is graduation an enthralling day for the graduates; it’s also a lifetime highlight for family members. A graduation gift is a cultural norm, but graduates most likely won’t be coveting a gift that is typical. Entertainment systems, airline tickets, new phones – all great gift ideas, but not necessarily what your grad actually needs. Instead, your grad will be coveting something that can calm their anxiety regarding the unemployment rate among college graduates, which analysts say won’t be much lower from last year’s 50%. US News surveyed 178 universities and found that nearly 48% of college students don’t have a vehicle on campus. Thus, when May approaches, a massive crop of graduates don’t have an easy way to commute to job interviews. But a lease from Swapalease.com is a gift that not only is creative; it’s also useful and needed. Since the supply of Swapalease.com’s marketplace is produced by consumers, there are more endless options for car models, prices, and locations. And not only is the supply vast; the prices are much cheaper than many leases on the car lot. Since you can take over someone’s lease, this often results in only paying the monthly payment, not the down payment or other fees. The lease is also a short-term commitment, which opens up graduates to explore new vehicles with up to date technology and safety upgrades after the lease term is up. These cheap lease deals are an investment into your graduate’s future, because it puts wheels underneath their aspirations. What could be a better gift than that? For more information on finding the right car lease deal for your grad, or to learn more about how to take over someone’s car lease, call 866-SWAPNOW. Smart Car Pure Coupe – $99/month, $1,393 due at signing. Nissan Versa Sedan – $129/month, $1,999 due at signing. Chevy Cruze – $149/month, $1,629 due at signing. Volkswagen Jetta – $149 per month for 36 months with $2,349 due at signing. Kia Rio – $159/month, $1,999 due at signing. 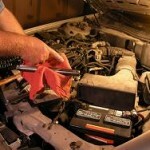 Keep in mind you can always check out Wantalease.com for great deals on new leases. Sometimes things can be too good to be true. But the notion that leasing does yield a low monthly payment is redefining the phrase, because it is both good and true. But not only is the monthly payment enticing. Don’t forget to factor in that the car will usually be covered by warranty throughout the duration of the lease, and that dealers are more than willing to make a lease agreement deals because it creates a high customer return rate. Plus, you have no long term commitment. If you decide you want an upgrade, it’s not a far-fetched idea. And you can turn your far-fetched hope of scoring a low monthly payment into a reality, because the options are wide-open in leasing marketplaces like Swapalease.com. First Time Leasing? What Documents to Have.